In fractions of a second, our system monitors the surfing, searching and buying habits across a network of sites. When a match of your requirements is made, our system negotiates for the best price to display your offer to the highly targeted visitor, or redirect that visitor to your site, in real-time. Because virtually all online business owners soon discover that they need targeted visitors to review their site and products. And the competition for business is generally strong. There are in all likelihood hundreds of millions of sites and many of them are marketing products and services that are similar to the products and services that you’re selling. Unless you promote your site effectively, your rivals will acquire all of the sales. We offer a variety of marketing techniques and service to expose your site to your targeted potential customer. Retargeting Advertising, this process involves providing clients who are interested in your website’s products or services the option to return back to your website by providing digital advertisements directly linked to your website with either the same products they had viewed earlier or similar products or services that may be of interest to them. Research carried out indicates that of the people who visit sites, only two percent actually buy the products they intended to buy, the rest may still be in need of the same products but they drift off and go to other sites. Retargeting advertisement prevents the loss of these clients, no matter the page the client is on. Contextual Advertising is another type of advertising online where our Ad Exchange System scans the web page opened by a user for specific keywords and then the advertisement is served to the client that is related to the keywords collected from the page. This type of advertising ensures that the client has a direct flow of information on the products or service of interest and when it comes to making purchases, they are supplied with the locations of your advertised site, thus boosting your sales. Behavioral Advertising is another advertising method that we use; our Ad Exchange System collects your client’s browsing patterns and details on the internet like search keywords and the past sites he/she has been visiting. Based on the client’s searching habits, our system then delivers the appropriate advertisements to the client at the very moment that they are searching or looking for the type of service or product you offer on your website. 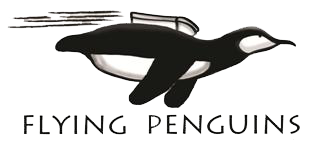 The Flying Penguins Ad Exchange can deliver over 700 Million Unique Visitors On-Demand. With a 150,000+ Publisher Network, we are one of the largest Contextual Retargeting Networks on the Net …and we’re growing each day. Your Clients Will Get The Level Of Visitor And Campaign Targeting That’s Right For Their Business.